In honor of National S'mores Day I've got "s'more" Wedding Cake Wednesday just for you! That's right, a bonus Wedding Cake Wednesday! 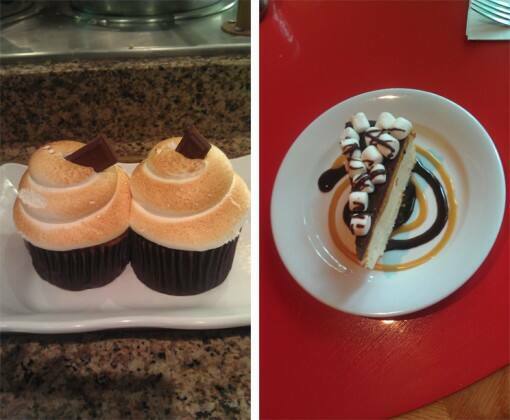 Two of my favorite s'mores desserts at Walt Disney World are made at Disney's Wilderness Lodge. 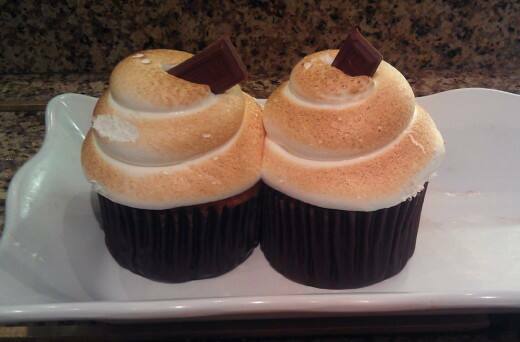 The Whispering Canyon Cafe serves up a mouth-watering s'mores cheesecake, while Roaring Fork boasts a yummy s'mores cupcake. I'm envisioning a s'mores bar at a wedding reception in the very near future. Have a delicious Wednesday, friends!